The Oxford Users' Guide to Mathematics is one of the leading handbooks on mathematics available. It presents a comprehensive modern picture of mathematics and emphasises the relations between the different branches of mathematics, and the applications of mathematics in engineering and the natural sciences. 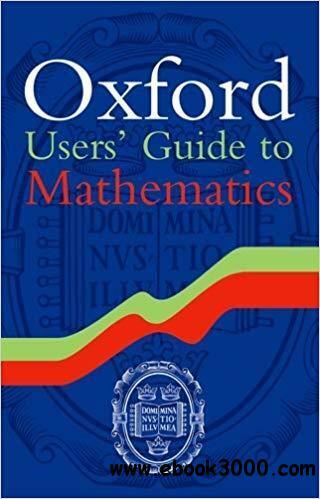 The Oxford User's Guide covers a broad spectrum of mathematics starting with the basic material and progressing on to more advanced topics that have come to the fore in the last few decades. The book is organised into mathematical sub-disciplines including analysis, algebra, geometry, foundations of mathematics, calculus of variations and optimisation, theory of probability and mathematical statistics, numerical mathematics and scientific computing, and history of mathematics. The book is supplemented by numerous tables on infinite series, special functions, integrals, integral transformations, mathematical statistics, and fundamental constants in physics. It also includes a comprehensive bibliography of key contemporary literature as well as an extensive glossary and index. The wealth of material, reaching across all levels and numerous sub-disciplines, makes The Oxford User's Guide to Mathematics an invaluable reference source for students of engineering, mathematics, computer science, and the natural sciences, as well as teachers, practitioners, and researchers in industry and academia.